Roberston Slow Food and Wine Festival offers intimate wine-infused experiences, unique to each participating wine farm. You can expect everything from casual winemakers lunches, to creating your own blend of wine. It is a food and wine lovers dream. It was our first time experiencing “The Slow”, and we loved every minute. One of the highlights was being able to explore more of the RWV, as well as discovering new wine estates. 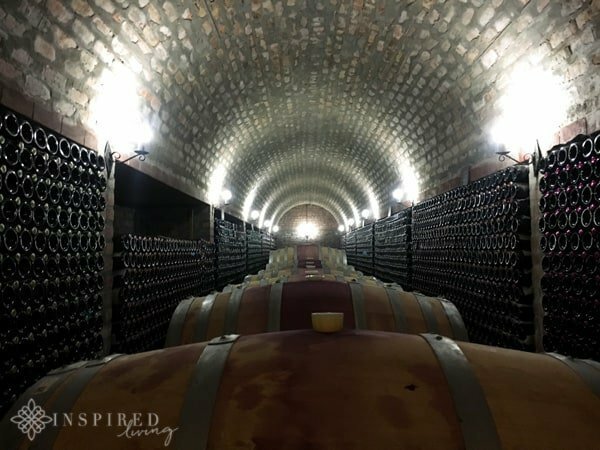 Today I am sharing a bit more about our experiences and hopefully wet your appetite to explore this wine region for yourself. So join me on my journey and “Taste The Lifestyle”. 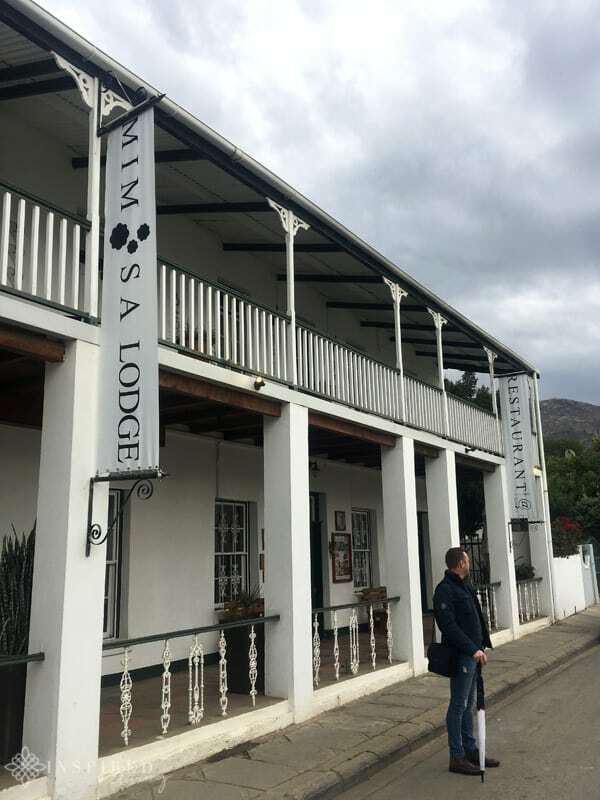 Our accommodation for the weekend was at Mimosa Lodge in Montagu. 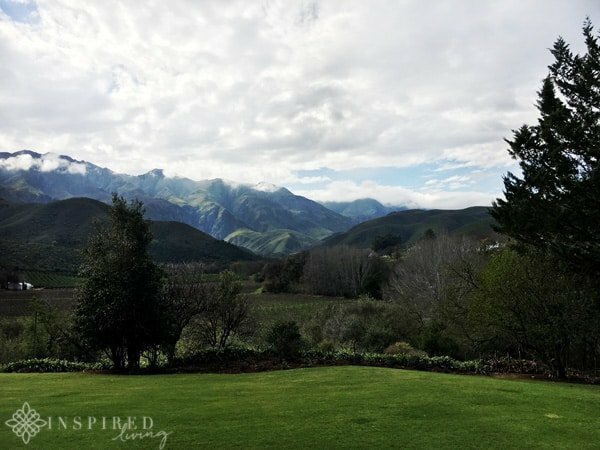 Montagu is a quaint little town, which embraces the slow country lifestyle in every sense. It is also home to the famous Montagu Hot Springs. It has been many years since Grant, and I ventured to Montagu. We were unsure as to what to expect but the town was as picturesque and as welcoming as we had both remembered it to be. The road to Montagu is under major construction, with the result that the two Stop/Go controls en route, created a slight delay in our travels. However, once we passed through the “hole in the wall” at Kogmanskloof, I could feel all the stress melt away. Accommodation in the area varies from 5-star hotels, homely B&B’s, Guest Farms and Mountain Retreats, to get-in-touch-with-nature camping facilities. Attractions include swimming in dams, braai-ing at campsites, walking in the countryside, as well as authentic farm experiences. Mimosa Lodge is renowned for its warm hospitality, as well as their Multiple Award Winning Restaurant. 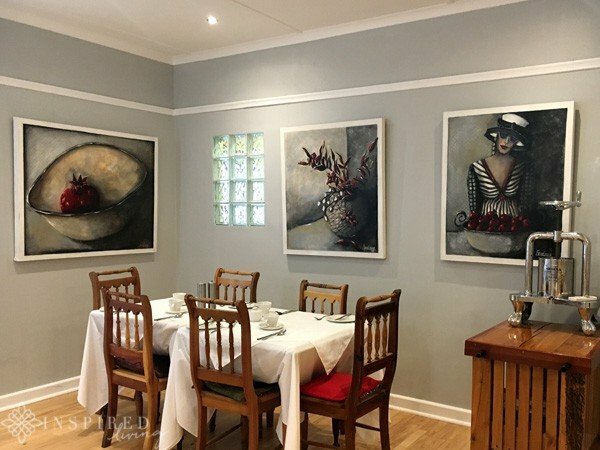 Run by owner-chef Bernhard Hess, the restaurant is well known for its superb cuisine, with an emphasis on local, fresh and seasonal produce. The well-appointed, en-suite rooms open up onto the garden, overlooked by mountains. Guests staying at the lodge, have access to a swimming pool and deck, a boules pitch, and a communal TV area. 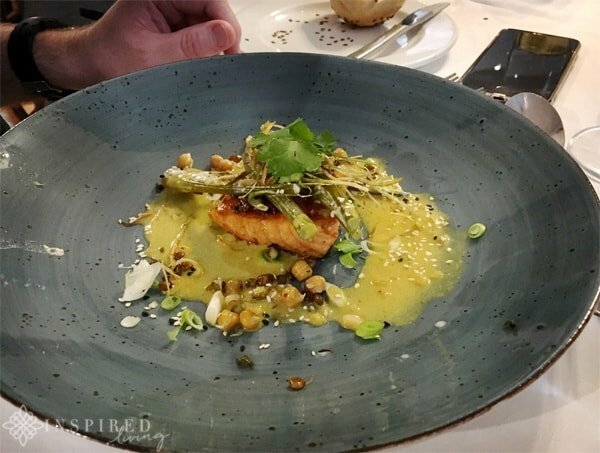 A culinary highlight for me, during the Slow Festival, was the delicious four-course, wine-paired dinner that we enjoyed at Mimosa Restaurant. Each of the fantastic dishes was paired with one of Mimosa’s Fine Boutique Wines. The wines are handcrafted by both Bernhard Hess and boutique winemaker, Lourens van der Westhuizen. One of the standout pairings for me, was the entree of braised oxtail ravioli, served with celeriac, sauteed spinach and oxtail jus, paired with the Mimosa Cabernet Sauvignon. 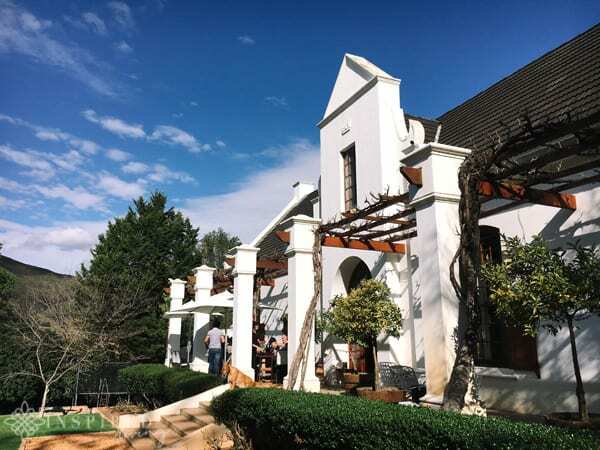 In the heart of Robertson, you will find Bon Courage Estate. 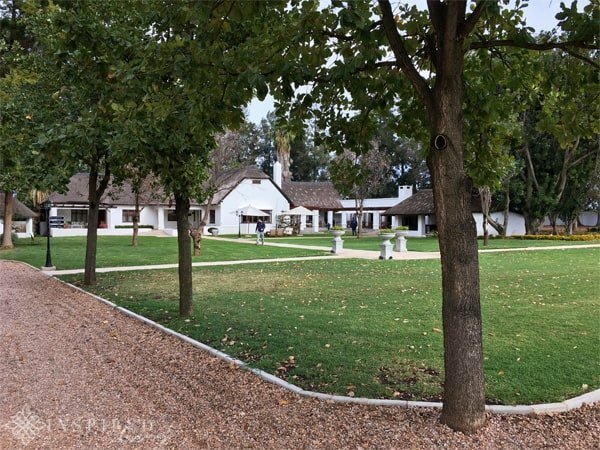 The Cape Dutch homestead dates back to 1818 and has been home to three generations of the Bruwer family, since 1927. Did you know that Bon Courage Wine Estate produces three excellent MCC’s? 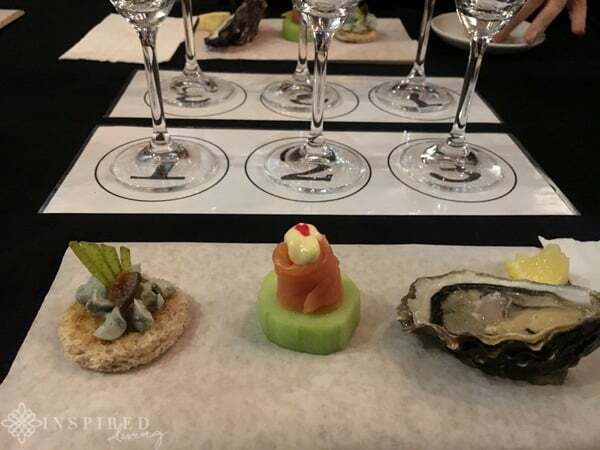 We had the opportunity of tasting these, as well as a selection of their wines, at a winemaker’s dinner. 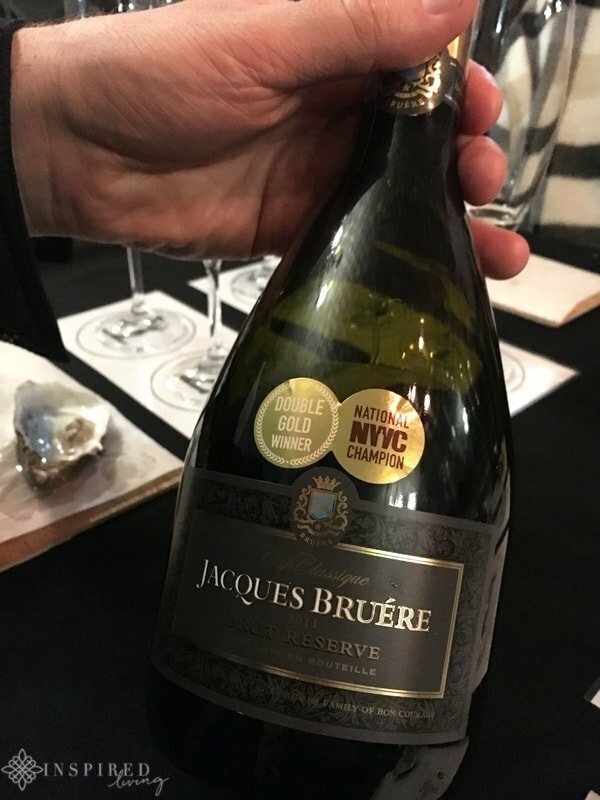 I loved the MCC and canape pairing, which included the Jacques Bruére Brut Reserve, a Jacques Bruére Blanc de Blancs, as well as a Jacques Bruére Cuveé Rosé Brut. Another great discovery for me was their limited release Inkará Point Noir. The wine is elegant with soft round tannins. You can expect hints of vanilla, subtle ripe red fruit, as well as a delicate spiciness. It is extremely delicious and has a lingering finish. If you love Pinot Noir as much as I do, you need to try it! Bon Courage is also home to Café Maude Restaurant, where you can enjoy delicious salads, sandwiches or just a cup of coffee. The indoor restaurant has a big fireplace – perfect for those chilly winter days. If you would like to stay overnight, the tranquil and relaxing setting of Vigne Cottage in the Vineyards of Bon Courage is the perfect escape. 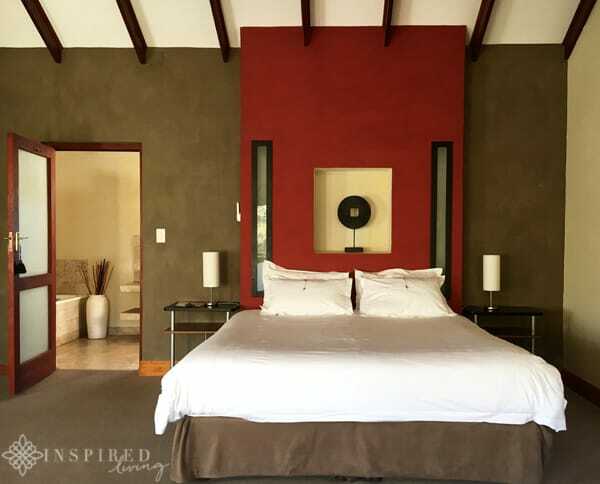 The self-catering farm cottage can accommodate up to six guests, in three bedrooms. There is a fully equipped kitchen, an open plan living room with six seater dining table, as well as an outdoor barbecue and a large lawn area. As with quite a few of our experiences on this trip, it was our first time visiting Rietvallei Wine Estate. 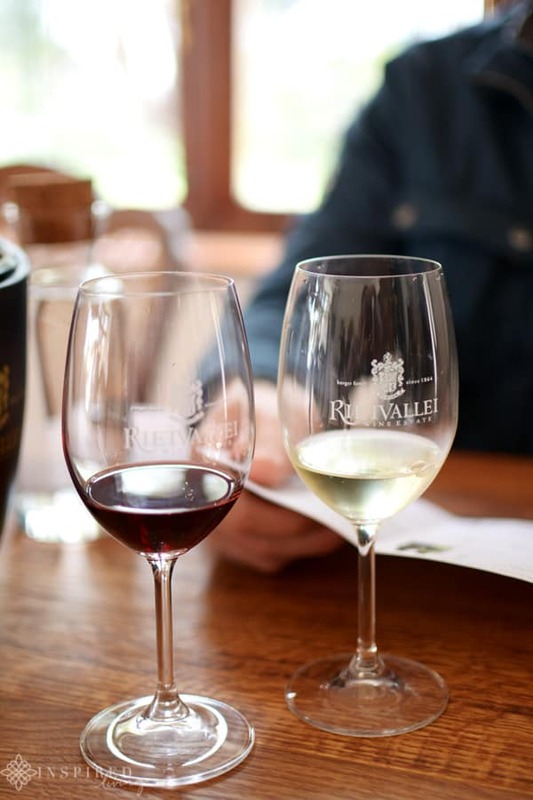 The Estate is among South Africa’s oldest family-owned wine estates, as well as being one of the first wine farms established in the RWV. 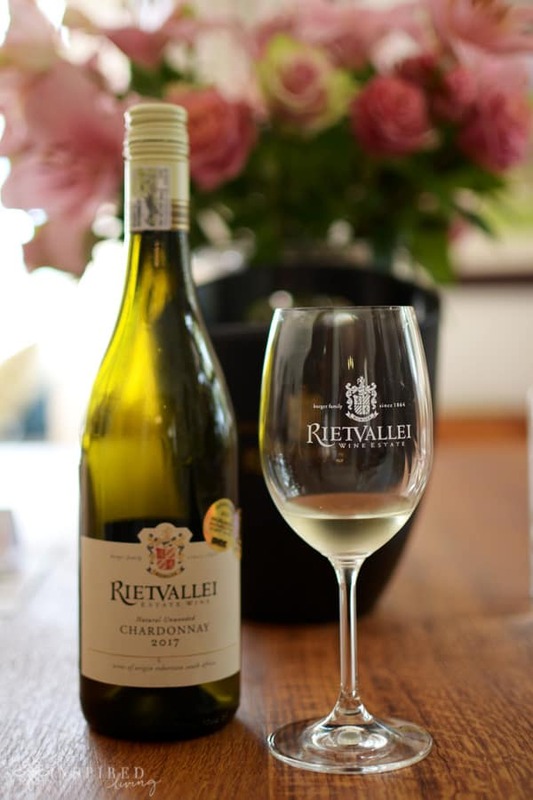 Rietvallei has been in the Burger family for six generations, and in 2014 they celebrated 150 years of ownership under one family; a milestone shared by only a handful of South African Wine Estates. 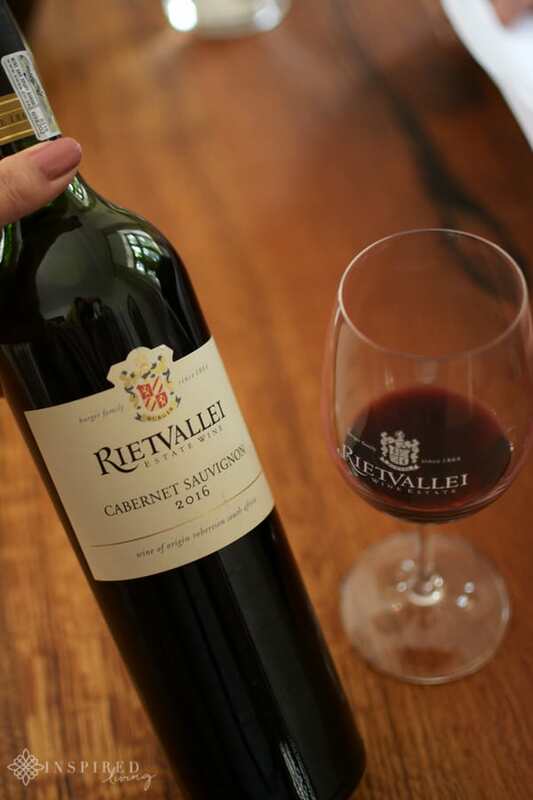 In total, Rietvallei Estate spans 215 hectares, with 119 hectares under vine. Seventy-five per cent planted with white “noble” cultivars, with red making up the balance. 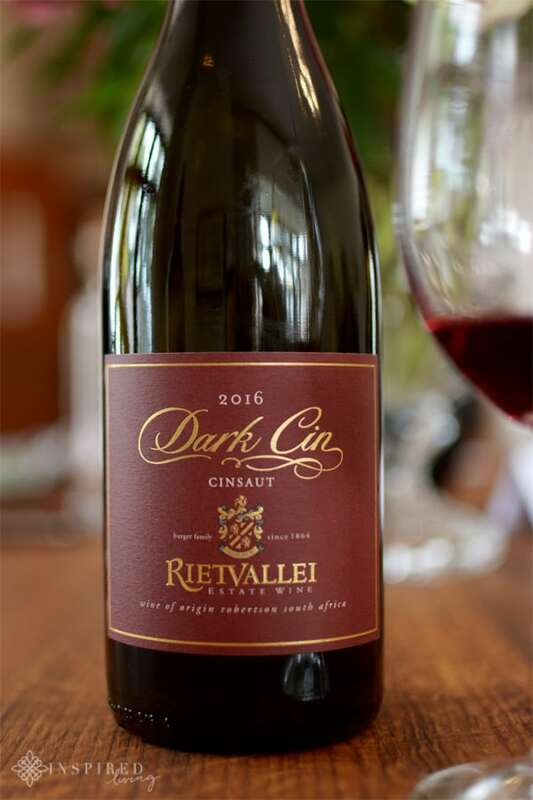 Apart from their famous Red Muscadel, Rietvallei also produces Sauvignon Blanc, Chardonnay, Chenin Blanc, Viognier, Cabernet Sauvignon, Shiraz, Cabernet Franc, Petit Verdot and Cinsaut. During our visit to their newly renovated tasting area, we were able to taste a cross-section of their wines. I am happy to report that we were impressed by both their red and white wine varietals. A couple of the standouts white wines were the Natural Unwooded Chardonnay and the 2018 Estate Sauvignon Blanc. I loved most of the reds I tasted, especially the Dark Cin, the JMB Cabernet Sauvignon and the JMB Cabernet Franc! A definite highlight on this trip was the stunning Mont Blois Wine Estate. It is a real hidden gem! Mont Blois’ history, as well as that of the Bruwer Family, began in 1869 when they bought the first farm. Six generations later, Ernst Bruwer now owns and manages the three farms in Robertson namely Mont Blois, La Fontaine and Sunshine. The Mont Blois Wynlandgoed cellar was built in 1884. 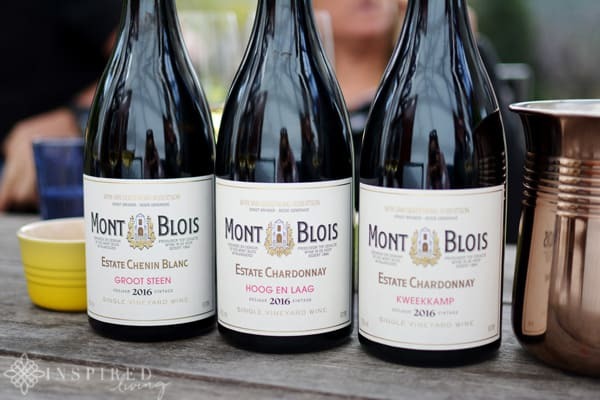 The name Mont Blois originates from the picturesque town of Blois in the Loire, the original hometown of the Bruwer family. Ernst Bruwer took over the running of the farms from his Grandfather Ernst Bruwer Snr. Winemaker Nina-Mari and Ernst met while both studying Viticulture & Enology at Stellenbosch University. In what reads like a fairytale, the couple ended up getting married, and Nina-Mari joined the Mont Blois team in 2008. 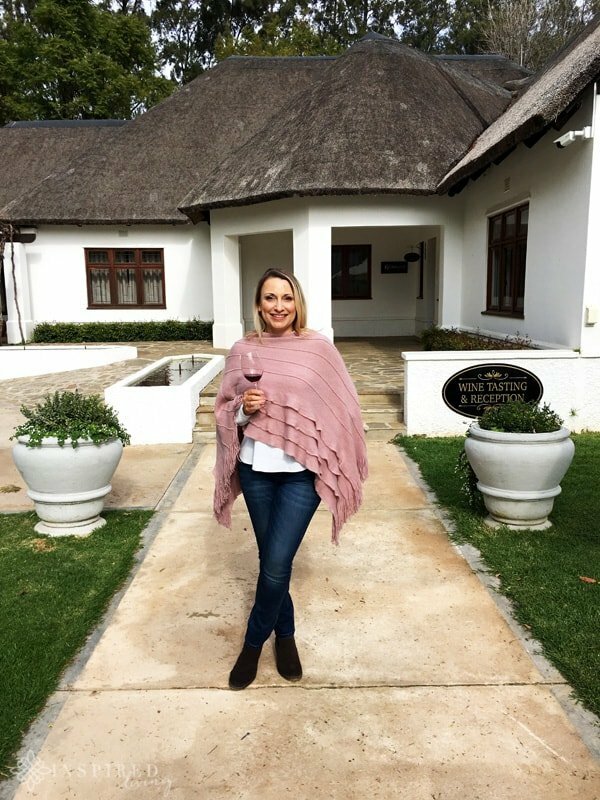 In 2014, she was awarded the prestigious title of Cape Wine Master. It was a pleasure to visit the farm and meet Ernst and Nina-Mari. The dynamic husband and wife team are incredibly passionate about what they do, and their enthusiasm is truly contagious. The views are incredible and the surrounding mountains utterly mesmerising. 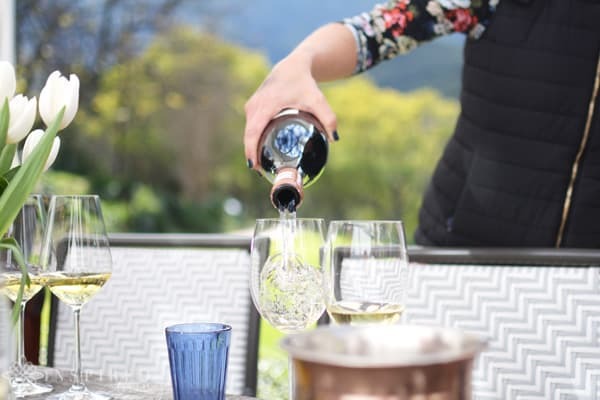 After a glass of bubbly, Nina-Mari guided us through a tasting of their Kweekkamp Chardonnay, the Hoog & Laag Chardonnay and the Groot Steen Chenin Blanc. I am particularly fond of Chardonnay from the Robertson Wine Valley. The two we tasted at Mont Blois were exceptional, with the Kweekkamp Chardonnay being my favourite. 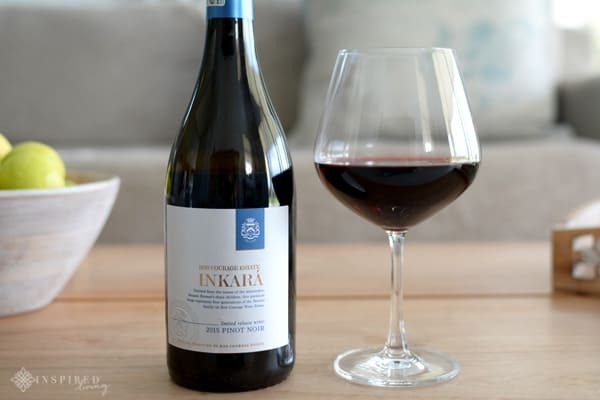 It is an elegant, well-balanced wine with heaps of character. You can expect peaches, apricots and citrus on the palate, crisp acidity and a lovely, lingering finish. After our wine tasting, the Bruwers treated us to a lunch feast on the stoep of their home. Nina-Mari’s delicious menu included lamb shwarmas, hummus, tzatziki and aubergines. 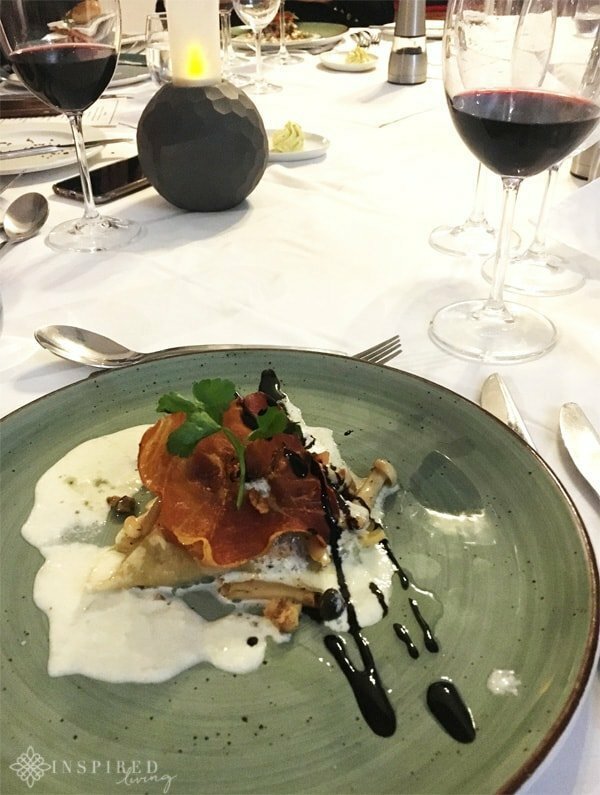 A Mont Blois feast would not be complete without dessert, served with the Mont Blois Pomhuis and Harpie Muscadel. The perfect way to spend a Saturday afternoon in the Winelands. 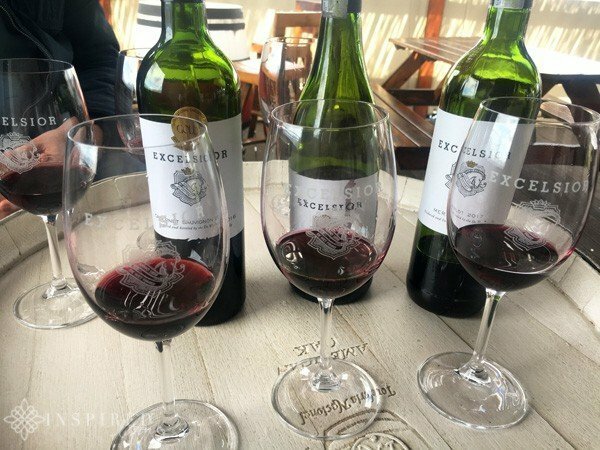 Last, but certainly not least, on my list of top reasons to visit the Robertson Wine Valley, is Excelsior Wine Estate. 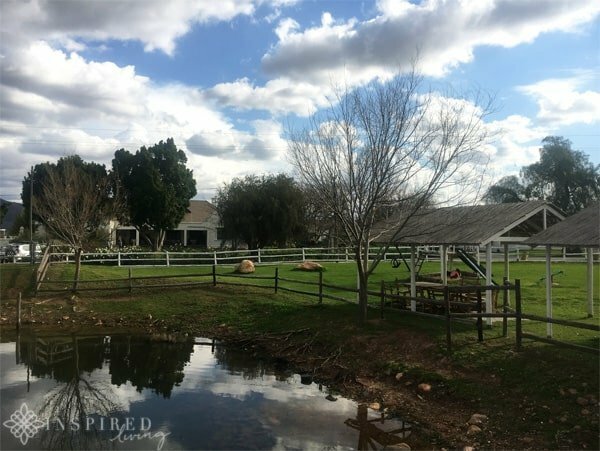 The Estate has been in the De Wet family since 1859 when Koos de Wet settled on the farm and began clearing the veld of the Little Karoo. Excelsior Wine Estate currently exports its wine to over 20 countries across the globe. The farm has 220ha under vine and cultivars include Sauvignon Blanc, Chardonnay, Shiraz, Merlot and Cabernet Sauvignon. There are also small plantings of blending varietals such as Petit Verdot and Viognier. The purpose of our visit to the farm, on this trip, was to enjoy their wine blending experience. Our blend could consist of three red varietals – a Merlot, Shiraz and Cabernet Sauvignon. All we need to do was taste the wines and create our perfect recipe. After deciding on the percentage of each varietal, the wines were blended, bottled and corked. We were then able to create and print a label, with a name of our choosing. It was such a fun experience and something I would love to do again.